We’ve just released our latest motorsport calendar app this week. 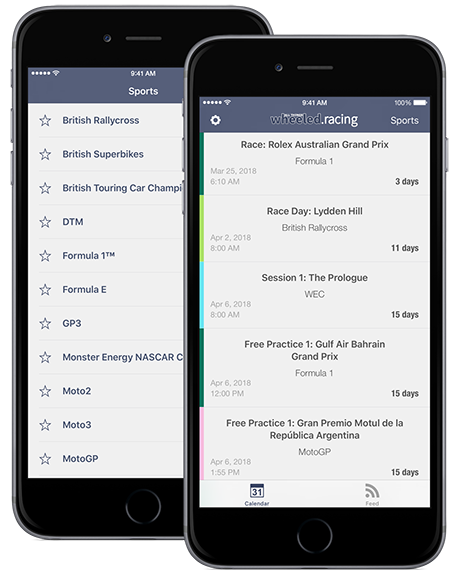 It’s a simple to use app that provides a combined calendar containing all of the race dates for popular motorsport series’. Individual session dates and times are provided (where available) in an aggregated calendar, featuring only your favourite championships. Each event has a countdown timer so that you never miss out and your bespoke calendar can also be added to the Calendar app if preferred.